This handsome lad has been hanging out in the lane way behind our house in D8, Kilmainham / Inchicore area the last few days. Well cared for, used to hoomans and very vocal. 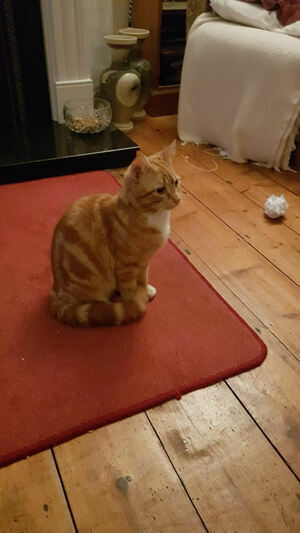 We’ve taken him in tonight and bringing him to our vets tomorrow for a microchip check. But in case he’s not bionic, is anyone missing a haus-tiger? 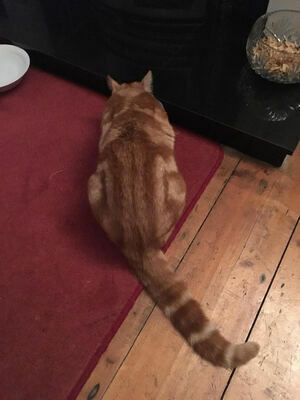 Posted in Misc and tagged lost, Tiger at 12:10 am on March 8, 2019 by Chompsky. Usually, he’d have the stereo out of it by now. 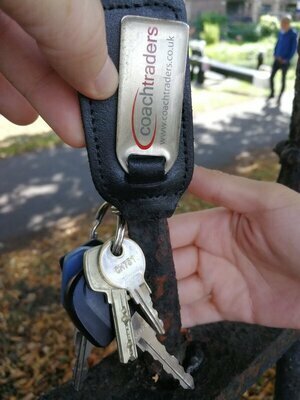 If you lost a keyring with 5 keys on it, including 2 Mercedes keys and 3 smaller keys, with a Coachtraders tag near the Grand Canal today, I dropped them into Kevin Street Garda Station for you. Posted in Misc and tagged keys, lost at 1:49 pm on August 20, 2018 by Chompsky. 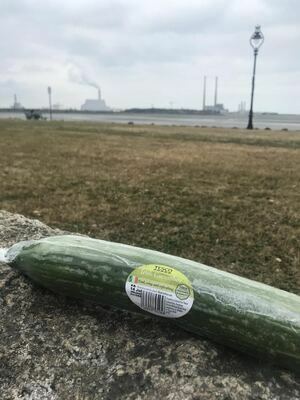 Found out running – if you lost a Tesco cucumber in Sandymount: you’ll know where to find it. Post-Royal visit sandwich waste. 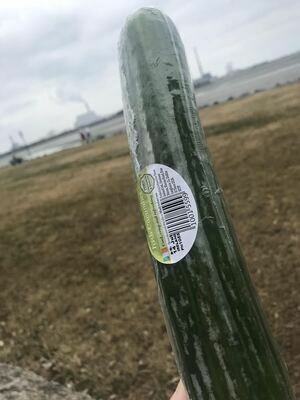 Posted in Misc and tagged cucumber, lost at 9:27 am on July 13, 2018 by Chompsky. 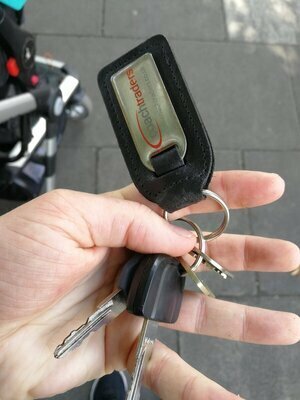 Did you lose your Italian-made spare key in Milltown Park? It’s still there. Posted in Misc and tagged key, lost at 9:01 am on March 21, 2018 by Chompsky. 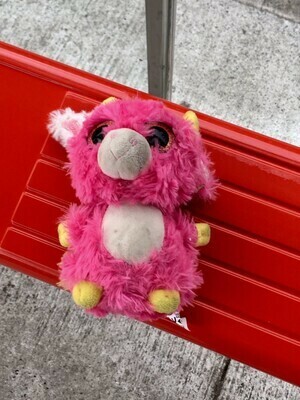 Have You Seen This Teddy? 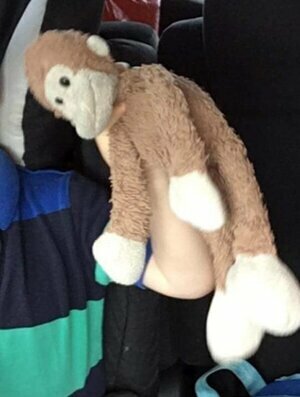 My friend’s 4 year old lost this teddy [on Saturday] outside the side entrance to Tesco in Mahon Point Shopping Centre [in Cork]. 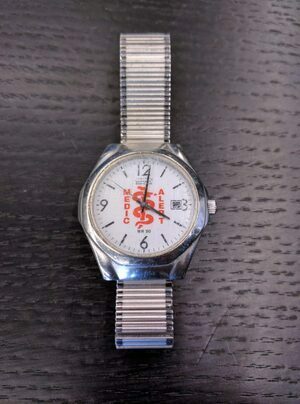 Huge sentimental value. Posted in Misc and tagged lost, teddy, We Don't Normally Do This at 1:51 pm on August 14, 2017 by Broadsheet. 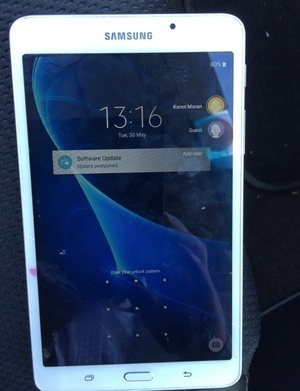 I just found a large white Samsung smartphone lying face down at Herbert Road car park in Bray [County Wicklow]. Tyre track across the back, with a thin crack across the screen I’m afraid. Recent loss- battery at 80% and I can see the main user name. left my business card in with the uniform shop nearby, and will drop the phone in to Bray Garda station now. Wishing you both a happy reunion. 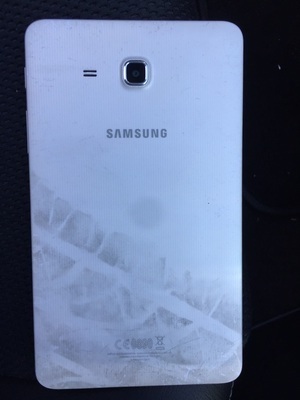 Posted in Misc and tagged lost, smartphone at 2:13 pm on May 30, 2017 by Broadsheet. 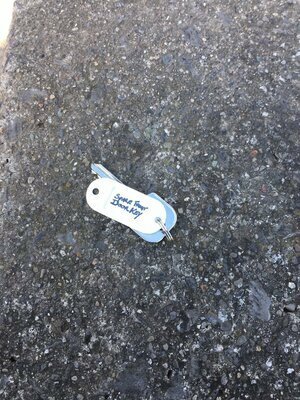 Found on Baggot Street Lower, Dublin 2, about 4pm today. Identifying marks on the rear of the case. Posted in Misc and tagged lost, watch at 4:15 pm on May 17, 2017 by Broadsheet. 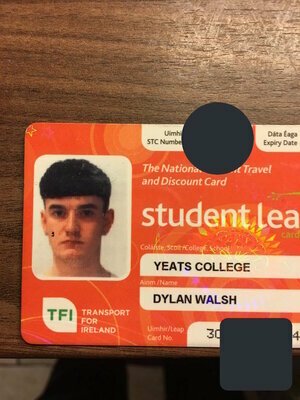 Did You Leave Your Purse On The Dart? 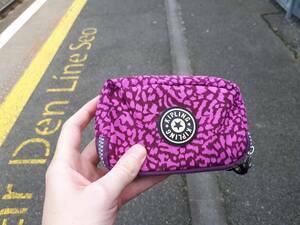 I got on the [south-bound Dart] train at Lansdowne Road this morning and found a purse on the seat with some money in it. Shouted out at the platform before we left the station but no one was there. Have left a message at Irish Rail but they didn’t exactly seem mega efficient so thought I’d put it out here. Posted in Misc and tagged DART, lost, purse at 5:03 pm on April 27, 2017 by Broadsheet. Oh oh, look at what’s been left behind at stop #44 Drumcondra. Can anyone help? 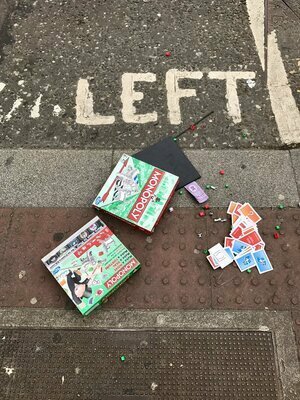 Posted in Misc and tagged lost, toy at 4:49 pm on March 30, 2017 by Broadsheet.